Because having whiter teeth has now become the number one aesthetic concern of most patients, there are a number of ways to whiten teeth. At Beverlywood Dental, we offer two types of whitening: 1-Hour Zoom!® Advanced Power Plus®, and the NiteWhite® home tooth whitening system. Since tooth whitening only works on natural tooth enamel, it is important to evaluate replacement of any old fillings, crowns, etc. Replacement of any restorations will be done after bleaching so they will match the newly bleached teeth. Tooth whitening is not permanent. A touch-up maybe needed periodically, more often if you smoke, drink coffee, tea, or wine. 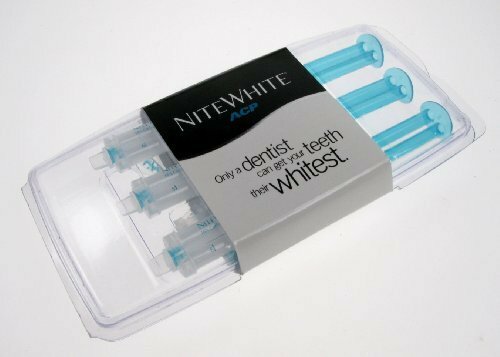 This is one of the most effective teeth whitening systems available. 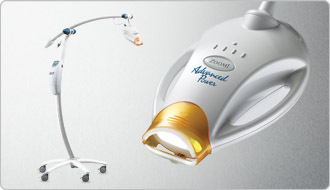 The Zoom!® treatment is accomplished in a single visit. The procedure normally takes about an hour and a half (including preparation time and instructions). The soft tissues in and around the mouth are isolated, and a special light-activated bleaching agent is applied to the teeth. The Zoom!® light is then applied in 15-minute cycles, up to 4 cycles. Results are immediately apparent at the end of the treatment! At your second appointment, you will try on the trays for proper fit, and adjustments will be made if necessary. The trays are worn with special whitening solution for 1-2 hours per day for a couple of weeks depending on the degree of staining and desired level of whitening. It is normal to experience tooth sensitivity during the time you are whitening your teeth, but it will subside shortly after you have stopped bleaching.